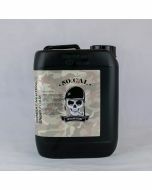 50cal Detailing’s Ambush superfoam is a new long cling foam is unsurpassed by its dwell time and cleaning ability. 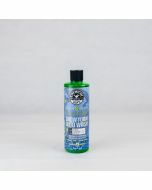 Developed with the latest surfactant technology available and sourced from naturally derived precursors when available, this new long cling foam is unsurpassed by its dwell time and cleaning ability. It is optimised by use through a dedicated foaming lance head at the highest pressure setting available on the pressure washer. When calibrated correctly it will produce a thick mousse like foam which adheres to vertical surfaces for up to 30 minutes. 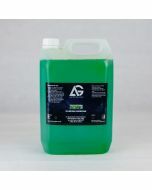 This is as close to a ‘touch less’ wash as you will get and it will not degrade any prior surface treatments. 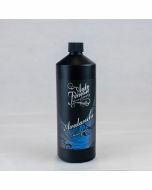 It has a built in wax and dewatering aid to further help the rinsing of the product from the vehicle. 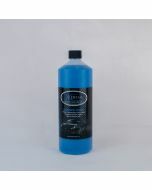 It works extremely efficiently on the removal of break dust and road film on wheels thus potentially rendering the need to use a secondary alloy wheel cleaner unnecessary. 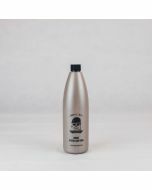 We recommend using a starting dilution of 2-3 inches into a 1lt wash bottle, topped up with ideally deionised water that’s attached to the foaming lance. The air intake and pressure should be set to the maximum settings available. The product is also enhanced with a rich Bubblegum smell and for the real enthusiasts, we will be offering options to have the foam coloured, in due course. 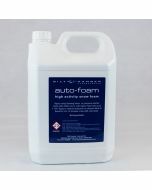 For best results use Ambush SuperFoam through a high pressure foaming lance. Ideally one that has an independent product reservoir connected directly to the lance. Add approximately 10-20% to the reservoir bottle and dilute with clean water. Adjust the lance settings to give the desired moose foam. Apply this to the vehicle and wheels in a liberal coating and allow to dwell for anything up to 30 minutes. Rinse off with a high pressure lance for a near ’touchless’ finish. Never apply and allow to sit on vehicle in direct sunlight.